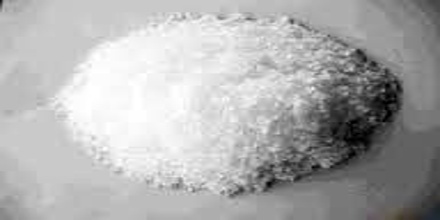 Sodium perchlorate is a white crystalline, hygroscopic solid that is highly soluble in water and in alcohol. 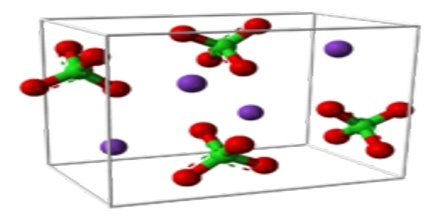 It usually comes as the monohydrate, which has a rhombic crystal system. Noncombustible but will accelerate the burning of combustible materials. If large quantities are involved in a fire or the combustible material is finely divided, an explosion may result. Prolonged exposure to fire or heat may result in an explosion. It is used in chemical analysis and in explosives. Its chemical formula is NaClO4. Its heat of formation is −382.75 kJ/mol, meaning that it would be thermodynamically favorable for it to decompose into sodium chloride and dioxygen. Perchlorates can still be purchased from some online vendors, but in limited quantities. Purchases using some form of identification have a good chance of being tracked by a government agency. In the US, perchlorates are still widely available through pyrotechnic companies as well as lab suppliers. 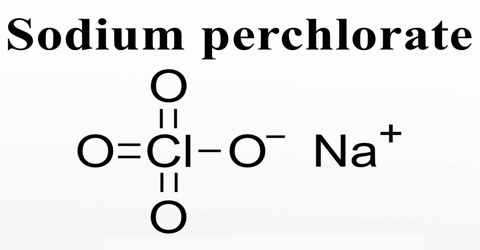 Sodium perchlorate is a strong oxidizing agent. Explosively decomposed at over 130°C. A mixture with powdered magnesium is a friction-sensitive mixture. A mixture with ammonium nitrate is used as an explosive. A 1:1 mixture of the perchlorate and hydrazine exploded upon grinding. It is produced by anodic oxidation of sodium chlorate at an inert electrode, such as platinum. It is a powerful oxidizer, though it’s not as useful in pyrotechnics as the potassium salt due to its hygroscopicity. It will react with a strong mineral acid, such as sulfuric acid, to form perchloric acid. This can be isolated by careful distillation. Sodium perchlorate prevents binding of phenolic compounds to RNA during extraction. Eluent component used for analysis of biological samples by liquid chromatography. This compound is anhydrous. Sodium perchlorate used to be available globally, but recent regulations have restricted its possession in Europe. It is a white iinorganic solid. Products containing perchlorate (powder and solutions) are only used at industrial stage. Strong oxidiser, harmful and many causing damage to organs through prolonged or repeated exposure if swallowed, irritating to eyes, this substance must be carefully handled and stroed to preserve human health and environment. It is used as a precursor to ammonium and potassium perchlorates, which are themselves used as propellants in the military and space industries. 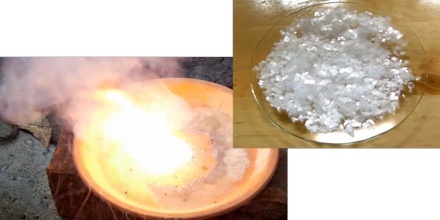 Sodium Perchlorate is also used in pyrotechnic compositions or chemical intermediates, as well as an additive for PVC production. Sodium perchlorate can be used to block iodine uptake before administration of iodinated contrast agents in patients with subclinical hyperthyroidism (suppressed TSH). Reference: findwords.info, scbt.com, chemicalbook.com, sciencemadness.org, wikipedia.